Yesterday was a great day for Emanon Photography. My business day started with a meeting with one of my brides and her mom for a wedding I will be shooting in two weeks. We went over some of the details of the wedding and I had a chance to get to know them a little better as well. They ended up buying me lunch and will probably be booking me soon for a Morning after the wedding family portrait session. Later I met with another one of my brides whose wedding I will be photographing in mid November to go over some details with her. 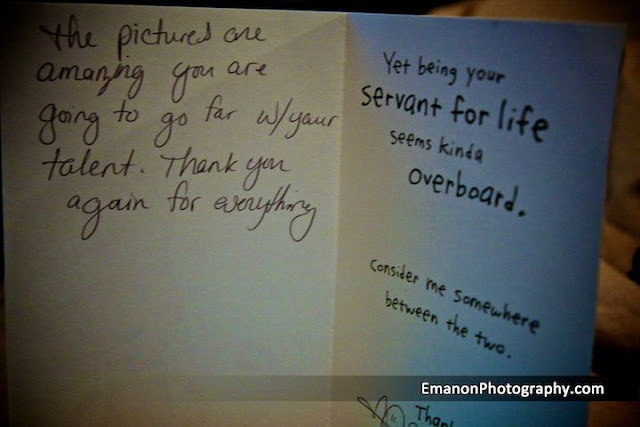 I shot a family portrait session with her a few weeks ago and she surprised me with a thank you card and a gift certificate to a local restaurant to thank me for the photos. Working as a photographer is quickly becoming the coolest job I could have ever imagined. I can make my clients and their family members cry tears of joy with just a few clicks of my shutter. 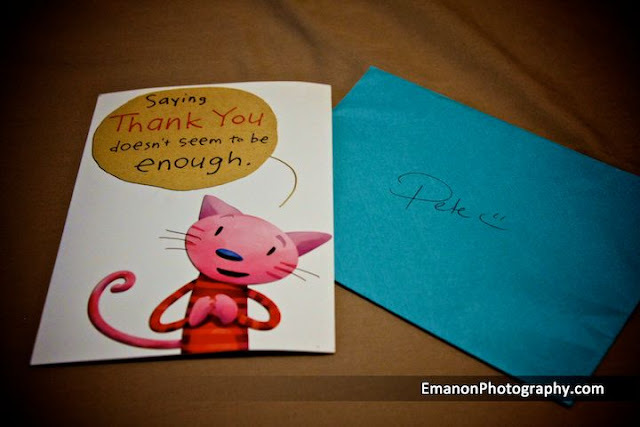 It blows my mind, and I am grateful for all my clients and their support of this adventure I call Emanon Photography.